Lots of different Lao food and live performances. 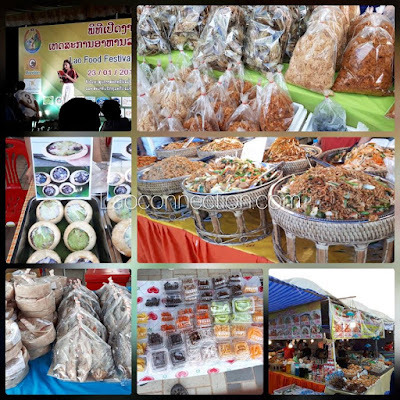 In addition to Lao food, there were also merchandise and textile vendors. As well, there were Thai food vendors from Nongkhai and Udonthani, Thailand. So quite a mix and lots to see. Go for lunch and dinner!